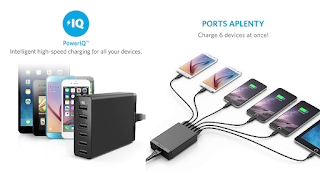 Anker 30W 6-Port USB Charger PowerPort 6 Lite Wall Charger $11.99 + Free Shipping. You can finally charge all your devices at the same time! This is nice charger that plugs in to the wall and charges fast too.